Which one provides the more meaningful learning experience with multiplication? 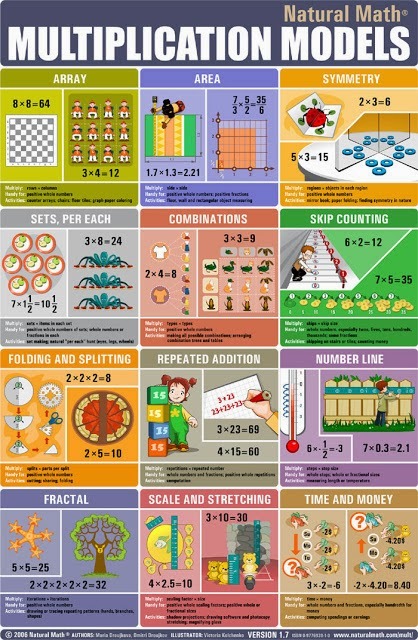 I mean, just look how many ways we can experience and come to understand multiplication! Stunning. Given this reality, why would we want our students to only understand multiplication as a series of facts? Which one provides you the more meaningful experience with Hungarian folk dance traditions? Can you see what happens when the dancing's sole purpose is to be shoehorned into a formal mathematical framework (the sorting algorithms)? To me, Video #1 has some interesting footwork but the choreography seems stilted and out of context -- sort of like only ever memorizing multiplication facts. This may just be my own particular sensitivity but I'm curious what you think. Bonus points for going to the dance/computer science project website, trying out one of the sorts and reporting back how or if the dancing helped you any more than the computer animation they provide. Last week was was a strange week of firsts for Math in Your Feet. I've been a teaching artist for about sixteen years and started exploring the connections between math and percussive dance in late 2003. 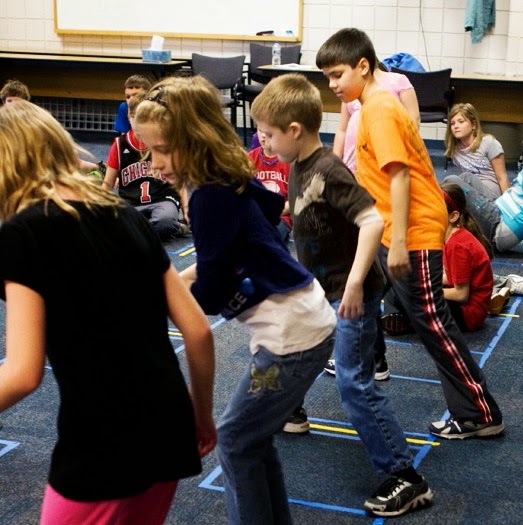 Between 2004 and 2006 the program was piloted twice at all nine elementary schools in a large urban school district in Indianapolis, IN; prior to that I spent five years teaching clogging at many, many small, often isolated, rural schools across North Carolina, South Carolina and Kentucky. I've seen many schools and many students over the past sixteen years. But never anything like this. In the first half of April I spent two weeks working at a public elementary school near Indianapolis, IN. This year they have six large classes of fourth graders, averaging 30 kids per class. 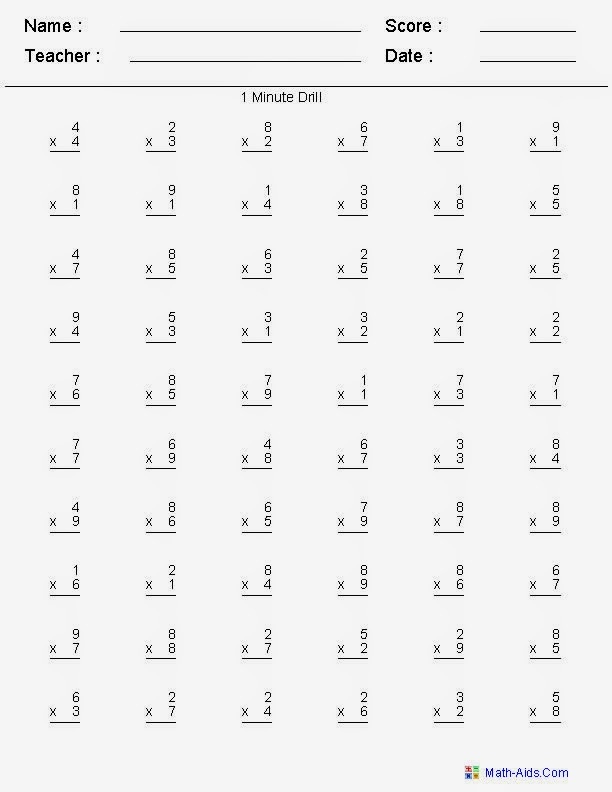 I taught three of the classes the first week (one hour a day for five days) and three classes the second week. As is typical in my residencies, most of the kids were happy to be with me, worked hard, were proud of their work, and made progress but... During the second week I saw some startling things I've never seen before in all my years of teaching 4th and 5th graders. ...and, even more worrisome, a good amount of students in each class were still unable to reproduce their original dance patterns the same way every time. Not surprisingly, they were also still working on dancing in unison (congruence) with their partners on the last day. 1. It is definitely not about whether kids are 'good at dance' or not. Some people might think that maybe part of these troubles are due to the fact that some kids are just not 'good dancers' but I do not agree. My entire career has been focused on crafting meaningful learning experiences with my art form for students, no matter their dance backgrounds. This is the reason I developed the Jump Patterns tool in the first place. Jump Patterns provides a framework and basic feel of percussive dance for new dancers. (Interestingly, it provides an awesome challenge for more skilled movers as well.) Also, I am a very flexible teacher of new dancers; I'm not looking for "good" dancing, just clarity of thought through the body whether dancing fast or slow. 2. I wonder if some of what I observed is about how much movement children are getting or not getting? Children think and learn through their bodies. 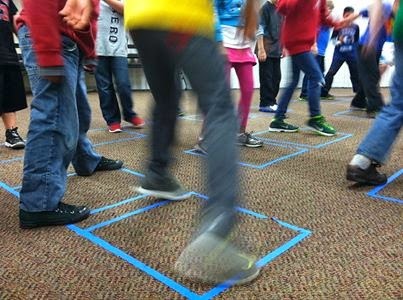 Children develop spatial reasoning by moving their bodies. 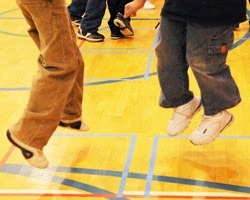 If their movement is severely limited due to a sedentary lifestyle, or a primarily sit-down education focused on test results, or school policies that use recess as a reward and/or punishment, then children are not getting the movement they need for developing their brains and bodies as a whole system. The last time I saw difficulty like this was when I was working in very poor, rural parts of South Carolina in the late 1990s. I think the reason that I am writing this post is that only 20% of the children at the school last week qualify for free or reduced lunch. What's going on?? 3. I also wonder if this is partly about how math is (generally) taught. I am teaching dance and math at the same time by facilitating a robust choreographic inquiry into the creation of multi-layered, three dimensional, moving patterns. Math in itself is inherently action-oriented which is why the body has so much potential in partnership with math learning. For example, in Math in Your feet we focus on the action side of math when we make, compare, compose/decompose, sequence, combine and discuss the patterns we are creating. This is mathematical activity. In addition, activities such as sorting, classifying, choosing, naming and comparing the attributes and variables that we use to build our patterns in the process of creating those patterns is mathematical activity. 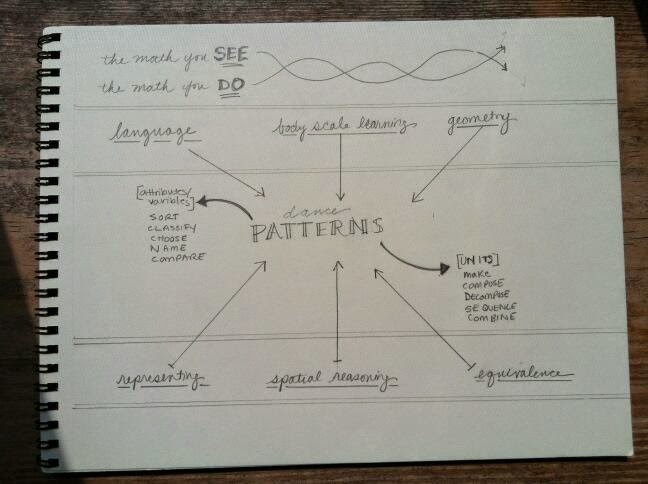 This is what we do and how we think when we make percussive dance patterns AND when we do other kinds of math. Because I've watched children think with their bodies for many years, most of that time in relation to mathematics, I think what I observed last week might be, quite literally, a visible deficit in experience with the process side of math, the part that builds conceptual understanding so that we know why and how we got an answer. 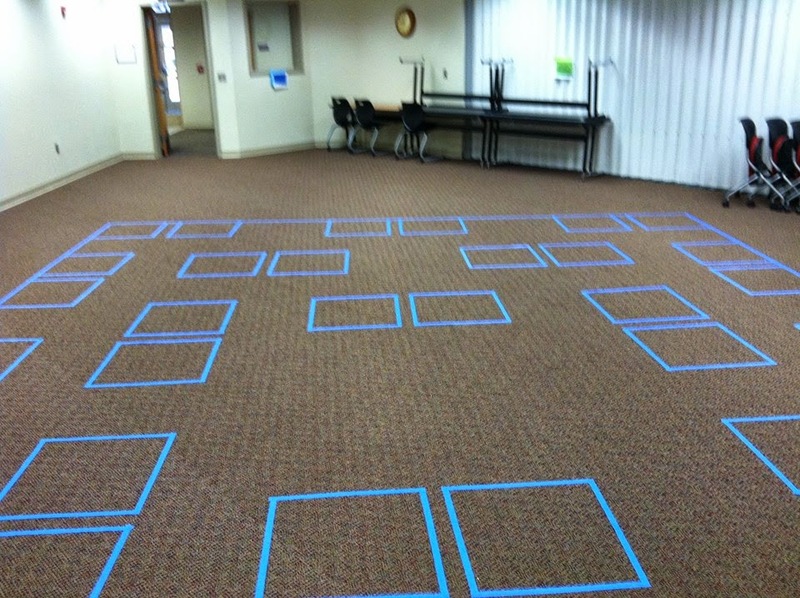 "We have noted that students need more concrete and visual / spatial experiences than they used to before they can move to abstract reasoning at the fifth grade level. We've wondered if our observations are correct and if they are, why?" Abstract reasoning means we can take a math idea and use, apply and represent that idea in a number of different contexts. This cannot happen until the learner has built her/his own relationship with and understanding of that math idea. Abstraction itself is a process of coming to understand through conversations, observation, wondering, playing around with ideas, and noticing patterns and relationships. This is answer making. Without this process an answer is essentially meaningless. Ideally we should not have to remediate any of this. As a society we should provide our children with developmentally appropriate learning experiences at the time in their development that their brains and bodies need those experiences. In the case of spatial reasoning, unitizing, and pattern making/observing/identifying, this should start in preschool and increase in sophistication through elementary school. 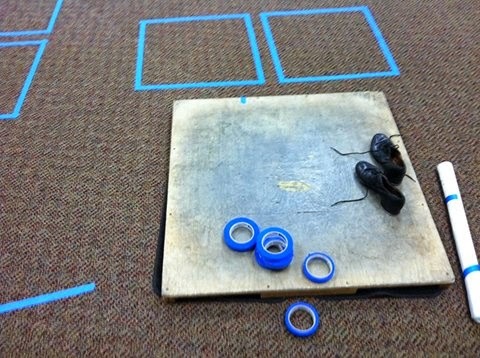 And, among many other tools, we should make a point of including the whole body in the math learning tool kit. The reality right now is sadly quite short of this ideal. 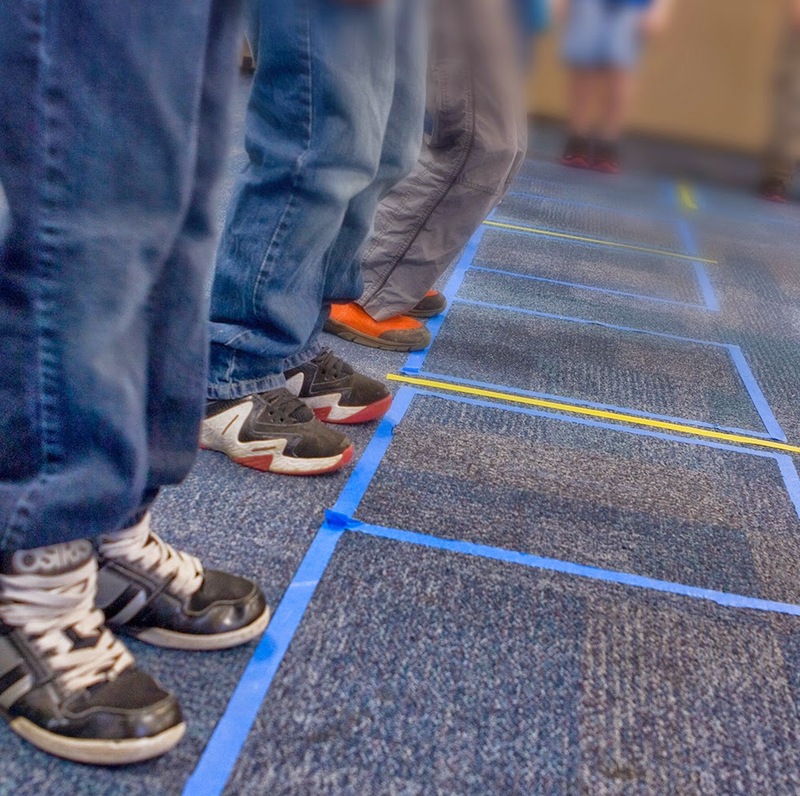 This post is simply intended to provide one educator's perspective on what seems to be happening as more and more children learn without their bodies. *Thanks to Tracy Zager for giving me the term 'answer getting' which ultimately helped me clarify my thoughts in the post.